This year has been one of inspiring color combinations, unique textures and classic designs. I want to show you one today that was a romantic navy, blush pink and gold wedding. Leanna sent me a slew of pictures earlier in the year to show me her inspiration for her wedding flowers. The navy components were striking, the blush pinks were soft and the gold was a beautiful accent to bring it all together. She wanted the bridal bouquet to be set apart from the bridesmaids, but still have a cohesive look with all the arrangements. The bridesmaids carried another collection of flowers that incorporated texture and charm. The boutonnieres and corsages were a variety of styles and colors, all coordinating with each other but staying within the realm of Leanna's scheme. 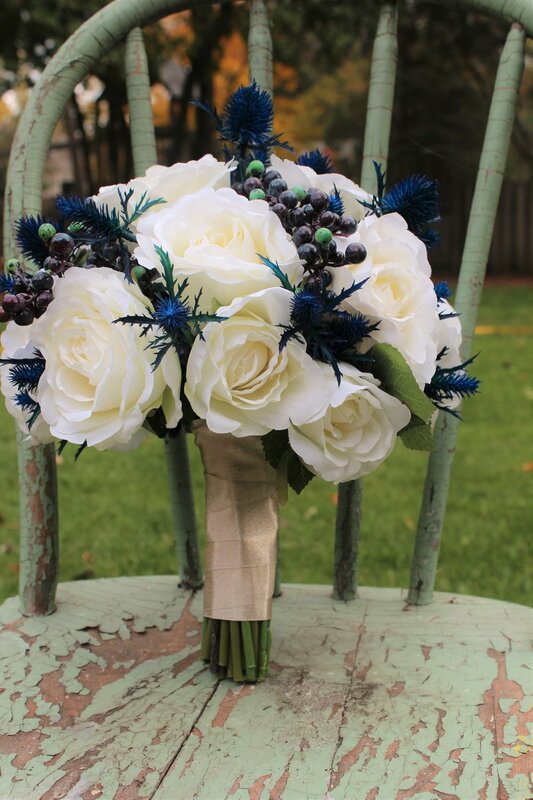 The Blue Thistle made everything pop! Centerpieces were also a great option for Leanna's wedding - coordinating with the rest of her flowers and more affordable than fresh arrangement. 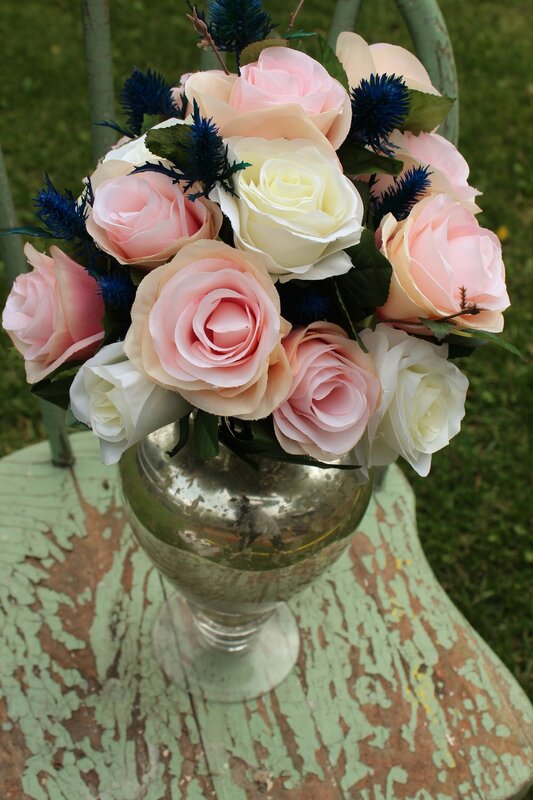 She was able to customize two different styles of centerpieces for the vases she had already purchased. If you thought floral centerpieces were out of range for your upcoming wedding, you're not alone. Most fresh flower centerpieces are! Don't sacrifice your budget for your vision! 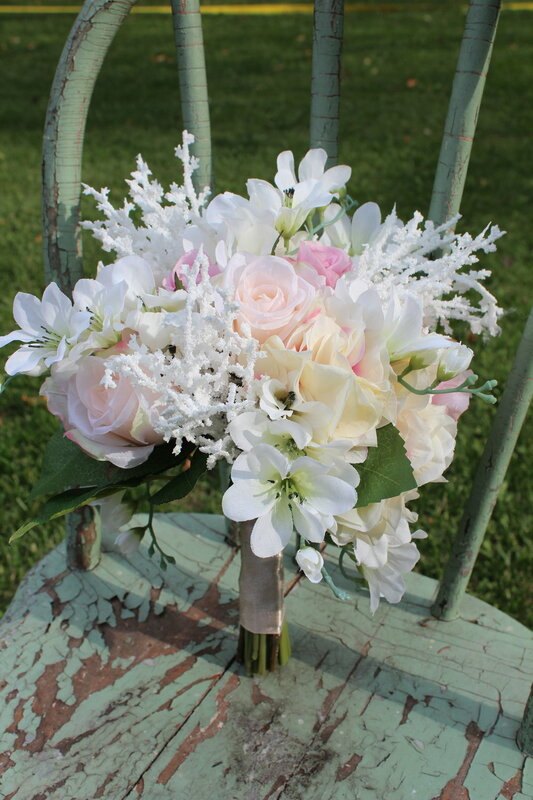 Contact me, a Minneapolis silk florist, to find out how we can bring that dream to life.